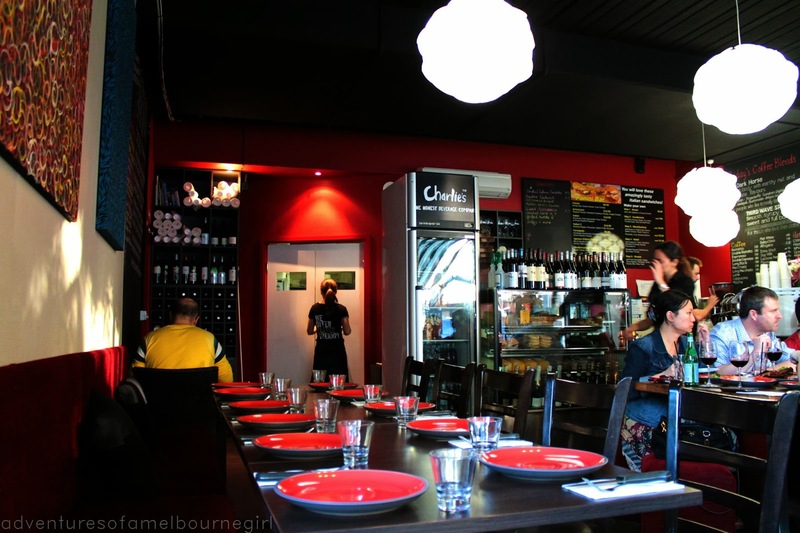 I was lucky enough to have my wish fulfilled sooner than I had anticipated - shortly after my review last weekend, I was kindly invited back again by Greg, but this time to visit the original Third Wave Cafe in Port Melbourne and get a taste of the dinner menu they have on offer. 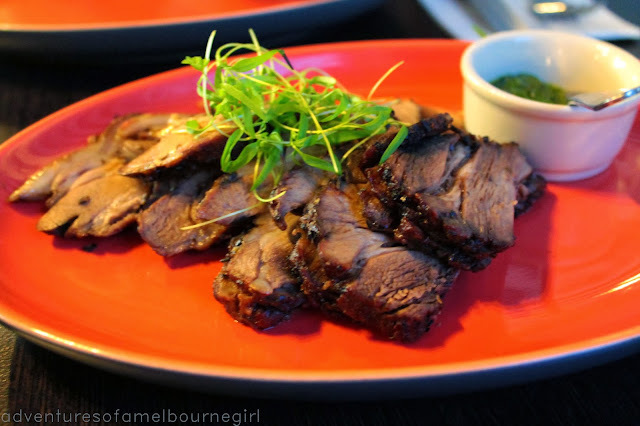 Despite the great diversity of Melbourne's food grid, there remains a large gaping hole in the shape of American style BBQ cuisine; and Greg has taken this as an opportunity to create a new niche market. This time around I came armed with another good friend Little Piggy, along with her wealth of knowledge, experience, and restaurant food reviewing. You can see a clear theme of modesty and humbleness in the setting out of both cafe buildings and spaces. It doesn't cry out for attention, instead it relies on quality food and service, and word-of-mouth, to build strong customer loyalty and a reputation amongst the community. 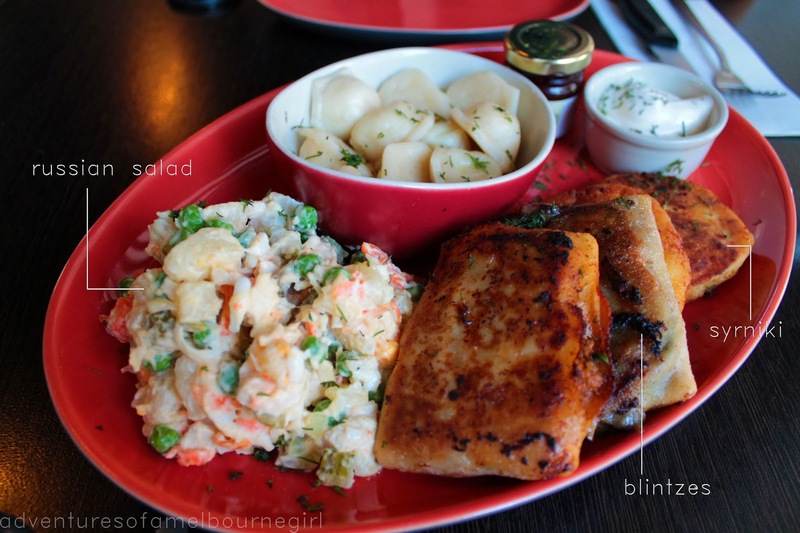 Both J and I agreed we'd need to try something American BBQ inspired, and something Russian, to take advantage of the diverse menu options and get the whole American/Russian fusion experience again. The sampler plate was ideally the best way to get a taste of the diversity Russian menu, and when it was presented in front of us, I felt an immediate sense of familiarity and comfort. An extremely hearty buffet-like platter packed with the staples of Eastern European cuisine - potato and meat. 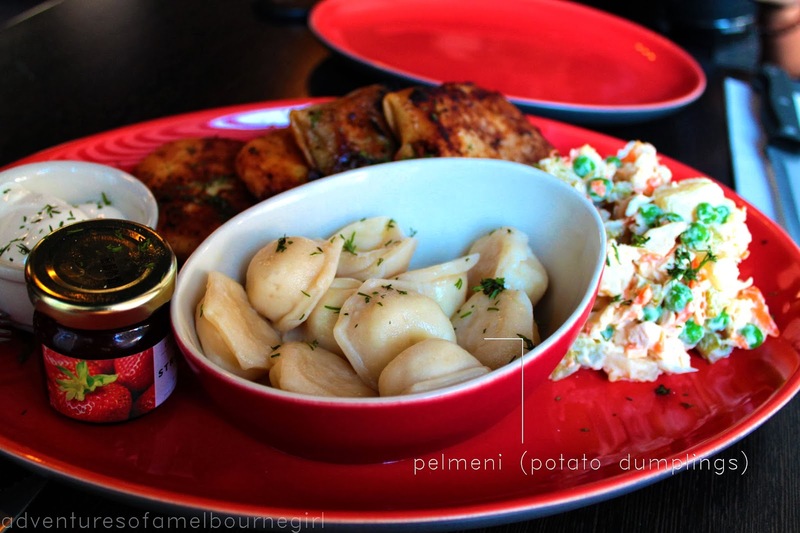 The platter was made up of a serving of potato Pelmeni (Russian dumplings), two blintzes (one meat, one mushroom), two syrniki (savoury pancakes), and side of good old potato salad. 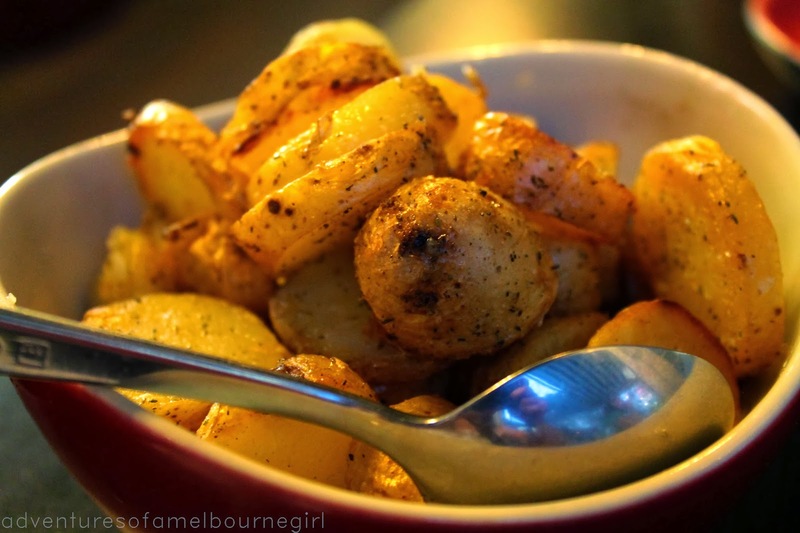 The potato dumplings were rounder in shape than what I am used to, and I found the dough to be a little tough; however they were jam-packed with soft and peppery potato mash filling and their bite-size made them a nice little treat. My eyes lit up when I saw the salad though - something I am extremely familiar with and very fond of - my mum's staple dish for any gathering of family and friends; also one of the main dishes at our Christmas Eve dinner every year. I have had this salad in nearly every shape or form, as recipes obviously vary from person to person, but when done with the correct proportions, it is always a winner. The only thing that made this salad different to ones I've grown up with having was the chicken; at home, we literally call this 'The Vegetable Salad' (sałatka jarzynowa) - but other than that, the potatoes, the egg, the peas, the carrot, the pickles, the mayo - all the elements were present and deliciously executed. The savoury blintzes had a fantastic crunchy exterior encasing flavoursome fillings of meat and mushroom. I wasn't expecting the meaty bolognaise-like filling, as I am used to just regular plain minced meat versions. But it was the mushroom blintz that was the unananimous winner on our table - nothing hits the spot quite like beautifully tender and well-seasoned, cheesy mushroom goodness! Then it was time for the American BBQ. Simply presented, lightly spiced, and accompanied with a great tasting side of house made salsa verde so you could help yourself to as little or much as you wanted. The 6-8 hours of cooking with hickory wood infused the meat with a rich and rustic, earthy aroma that I could smell before it was even presented before us; the pieces were juicy, chewy and fall-apart tender and were equally as delicious on their own as well as with the sauce. We couldn't have a meat dish without a proper side though; so upon suggestion we ordered the Kipfler Potato side. Confit in duckfat leaving a perfectly crispy external skin, and seasoned with rosemary dust to add a little hint of flavour. Yet again, a simple concept that was remarkably well executed. We completely polished off the large serving we were handed with no regrets what so ever. All in all, my second Third Wave experience was also met with positive results. Despite being bitter enemies during the Cold War, America and Russia seem to have since put aside their differences to create to a whole new sensation of taste and experience of good food. I think the team here at Third Wave may definitely be on to something!